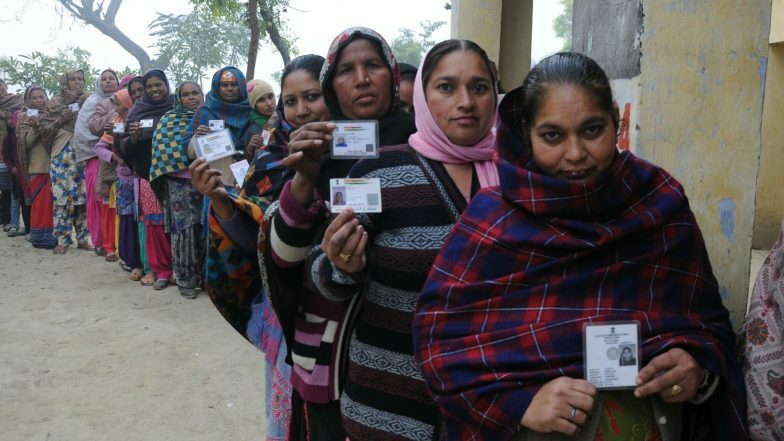 Dehradun, April 11: Nearly 10 per cent of 78.56 lakh voters cast their votes in the first hour as voting began on Thursday for five seats from Uttarakhand in the first phase of the Lok Sabha elections, a poll officer said. The Bharatiya Janata Party is virtually locked in a straight battle against arch-rival Congress in all the five seats. Voting which began at 7 a.m. will continue till 5 p.m., said Chief Electoral Officer Saujanya. Lok Sabha Elections 2019 Phase-I Voting Live News Updates. People were seen queuing up outside the polling booths even before the voting exercise started. There are 52 candidates trying their luck at the hustings. All arrangements have been completed in advance for a "fair and free" election using EVMs with 137 per cent VVPATs (37 per cent reserved), said Saujanya. Over 45,000 police and other forces have been deployed, including 16,000 state police personnel, 65 companies of para military forces and 16,000 home guards. There will also be 152 quick response teams (QRTs). Assembly Elections 2019 Phase 1 Live News Updates. Eighty-five inter-state and 10 international barriers with Nepal have also been set up. Out of the total 11,229 polling booths, nearly 697 have been declared as vulnerable and 656 as critical. Most of the vulnerable and critical booths are in the plains in the Udhamsingh Nagar, Haridwar and Dehradun districts.